The Kit Kat Chair Street Posters are now going up around Auckland. 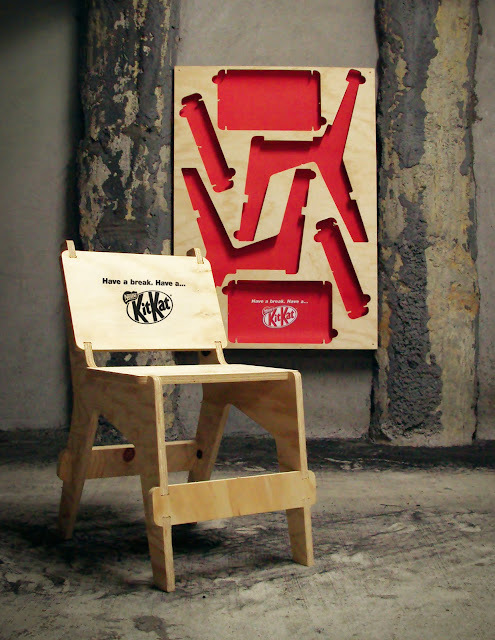 They're flat-pack style chairs made from ply that punters can pull off and assemble. They go up on routes to summer outdoor gigs and stuff so people can take them off and then use them to have a break at the concerts.